Hi lovelies! 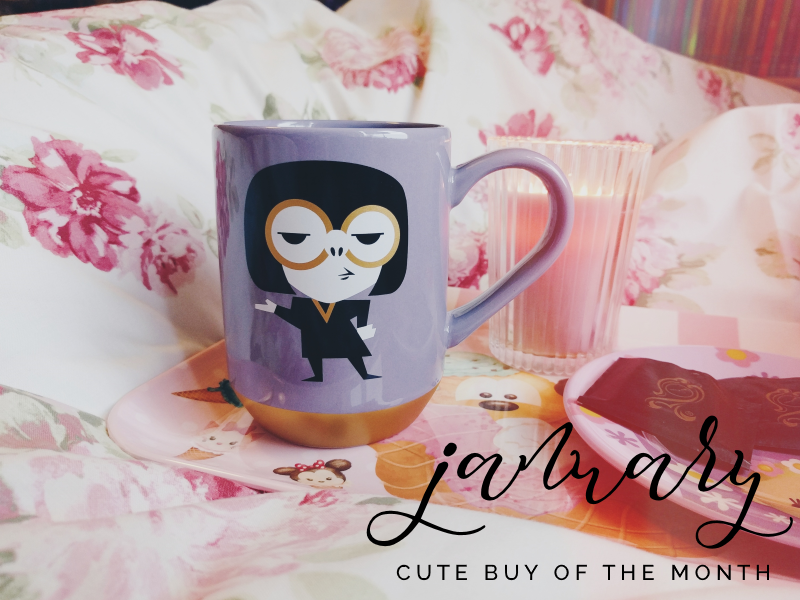 For my second post in this new series where I talk about something adorable that I've bought in the past month, it could be nothing else for me other than this Edna Mode mug! I'd spotted it on Instagram back in December and I had been checking the Disney Store's website everyday in the hopes of finding it as unfortunately I don't live anywhere near a physical store. I was just about to cave and ask someone to pick one up for me when it finally appeared online! 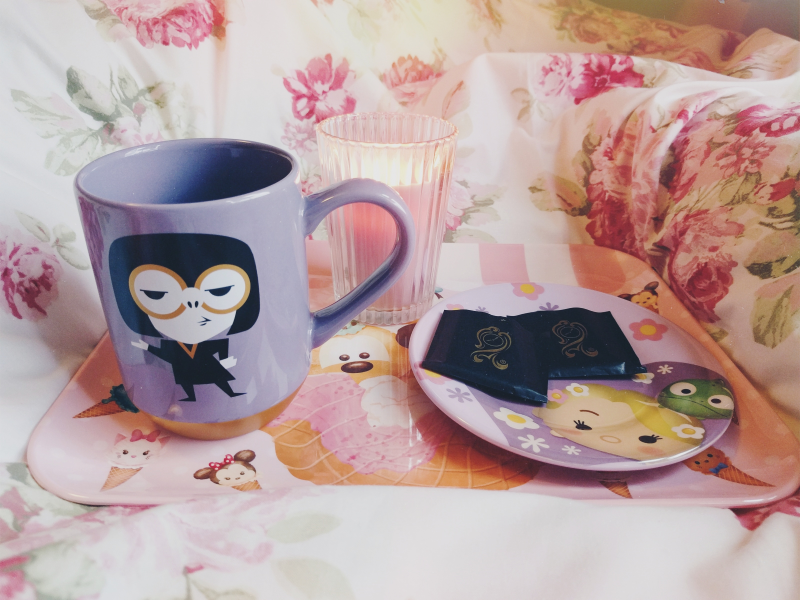 It's so rare to see any merchandise from The Incredibles so this mug was already pretty special to begin with but as Edna Mode is also one of my favourite Pixar characters (NO CAPES! ), I knew I had to add this mug to my collection. I love the simplistic yet stylish artwork they used, and the purple and gold colours look so gorgeous together. I feel like Edna herself would approve! 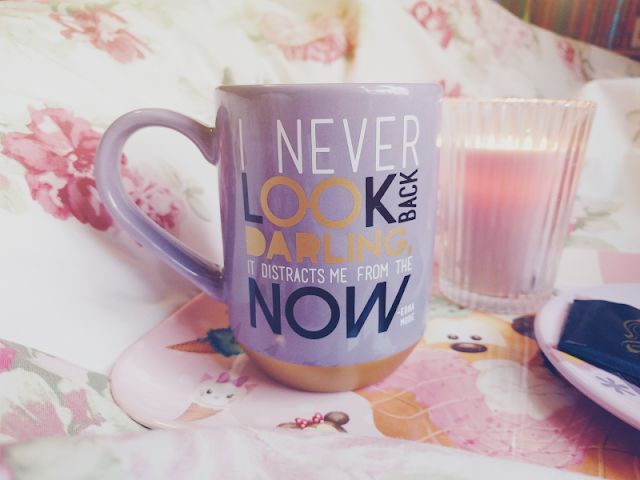 But the best part of this mug has to be the quote of Edna's on the back: "I never look back darling, it distracts me from the now." YES EDNA! I love a good Disney quote (especially one as inspiring as this!) but you don't tend to see many on their mugs so this makes a lovely change. If you'd like the snap this beautiful mug up for yourself, it's still available at the time of writing this on the Disney Store's website for £8.99. You might also want to check out the other mugs in this range - the Alice In Wonderland and Marie ones are especially cute!